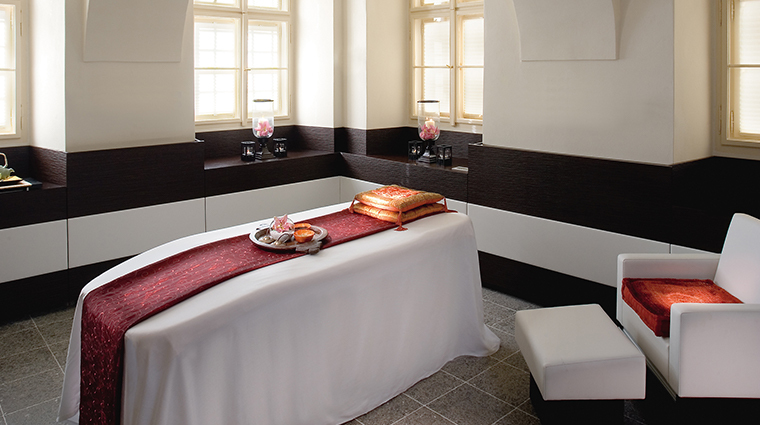 Conveniently located in the very heart of Malá Strana — home to Prague Castle and St. Nicholas Church — Mandarin Oriental, Prague offers a luxury escape within a bustling part of the city. 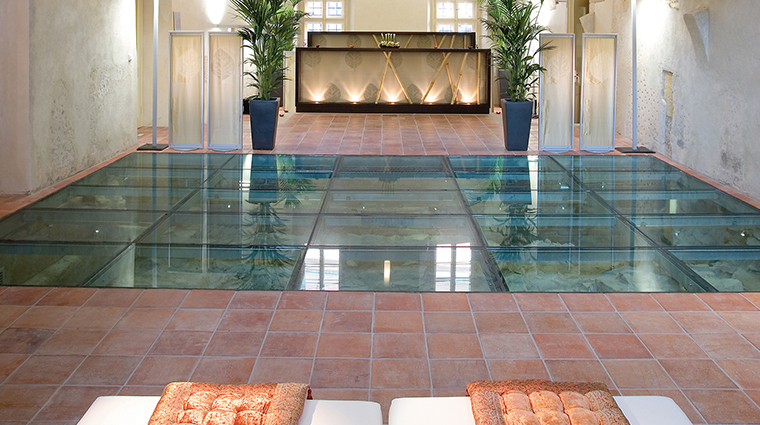 Housed within a former Dominican monastery with roots in the 14th century, this elegant hotel is an architectural delight. 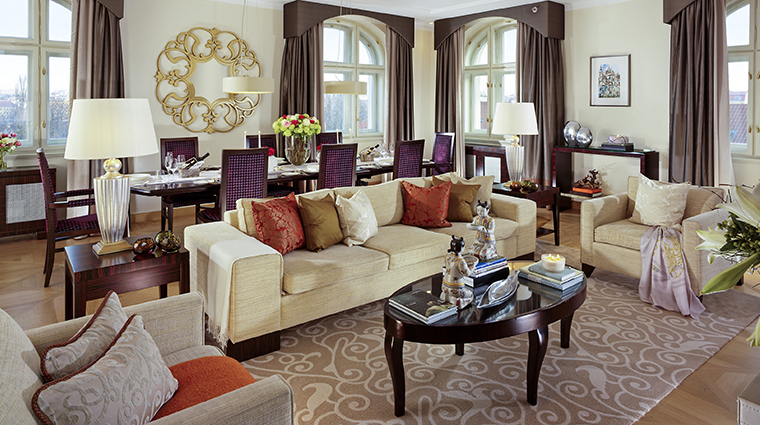 Its eclectic mix of original Gothic, Baroque and Renaissance styles is complemented by modern East-meets-West décor. Expect preserved church features and authentic medieval artifacts alongside Asian-style furnishings and chic Czech chandeliers. 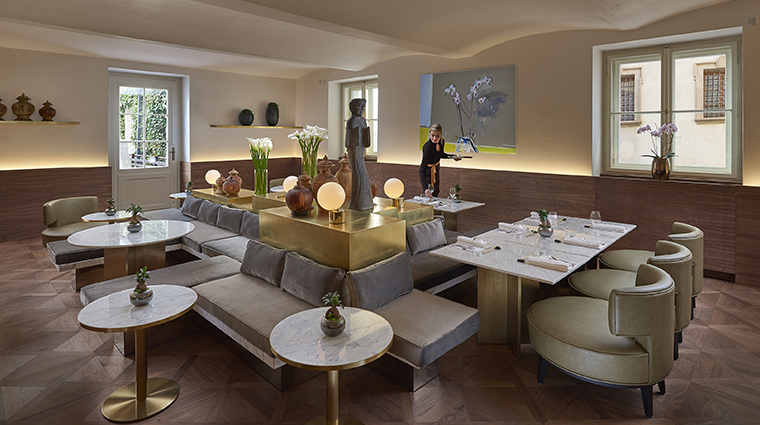 Factor in the superb restaurant, the converted chapel spa and the general aura of tranquility, and the Mandarin Oriental quickly stands out as a one-of-a-kind and luxurious place to stay in Prague. 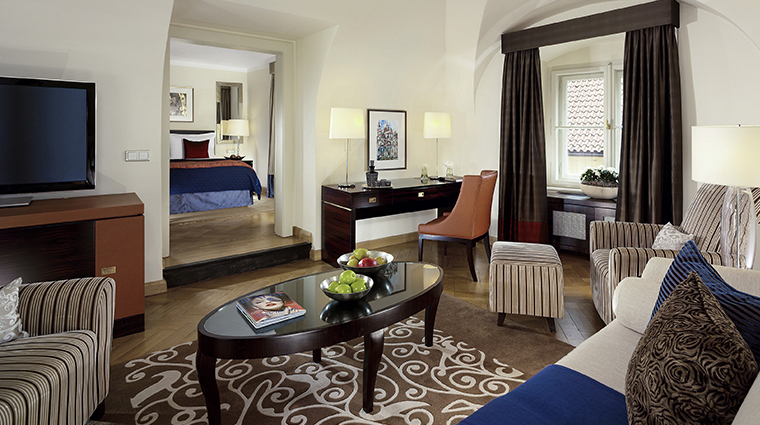 Considering its place at the heart of Malá Strana, the Prague hotel is surprisingly quiet. 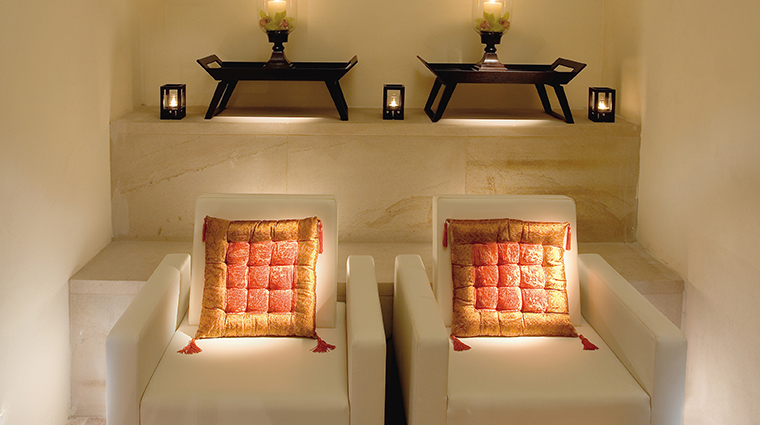 Its side-street location and thick stone walls make it a peaceful retreat from the tourist crowds. Nowhere on the property is more peaceful than the cloister garden. This centerpiece of the original 14th-century Dominican monastery is a lovely, secluded spot for a sightseeing time out. Sneak a peek inside the majestic Grand Ballroom. 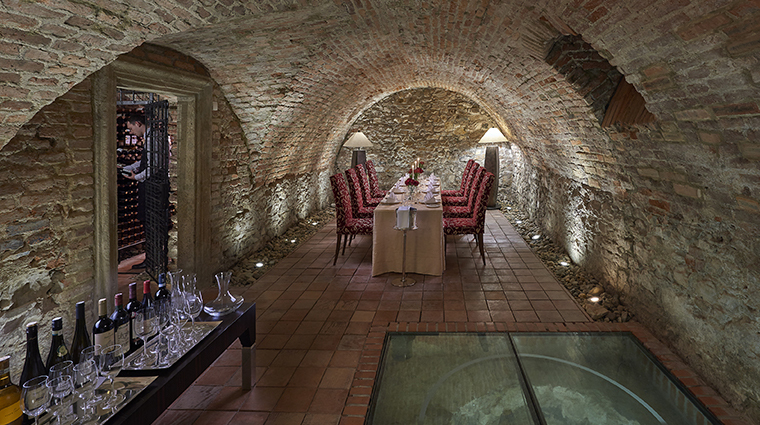 Once the refectory of the monastery, this event space remains one of the hotel’s most remarkable rooms. 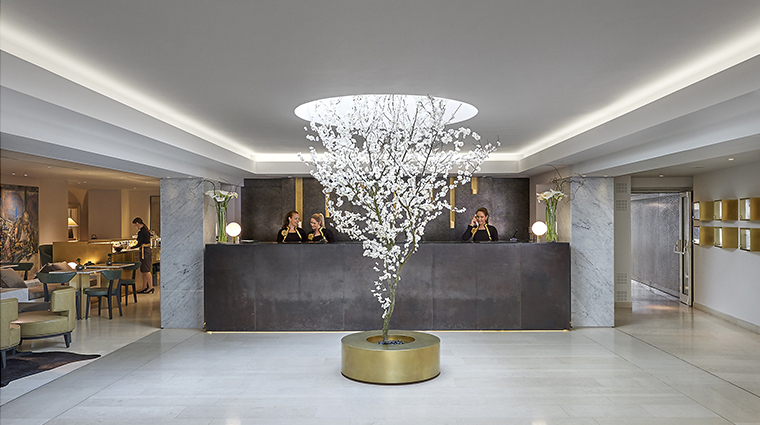 The knowledgeable concierges at Mandarin Oriental are all Les Clefs d'Or certified and are always on hand to recommend and arrange activities around the city. 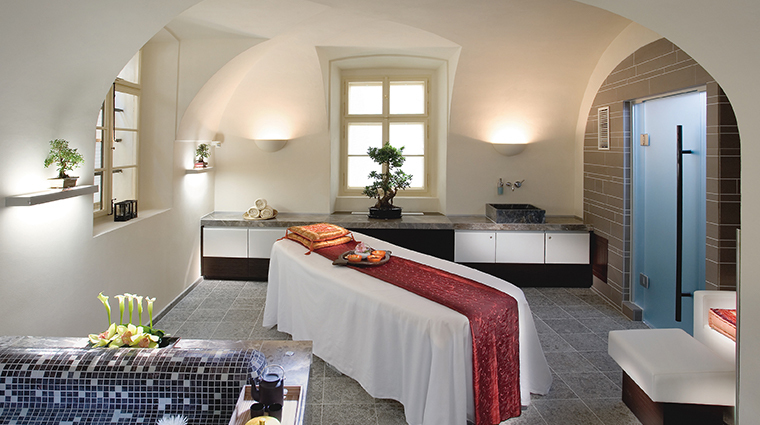 Don’t miss the wonderfully soothing spa, uniquely set within a former chapel. The entrance to the luxury hotel can be a little tricky to find. The main gates are at the northeast of the complex, at Harantova and Nebovidska streets. 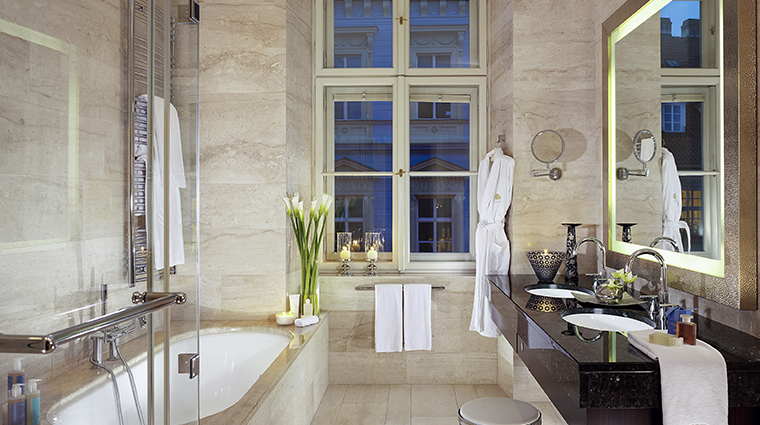 Mandarin Oriental, Prague is at its busiest between May and August, so if you plan to visit in the summer, book early. The restaurant can also fill up in January and February during a citywide food festival. Visiting Prague with little ones in tow? The hotel has connecting suites available and offers fun family packages that might include tickets to Prague Zoo, as well as pint-sized robes, toiletries and treats. 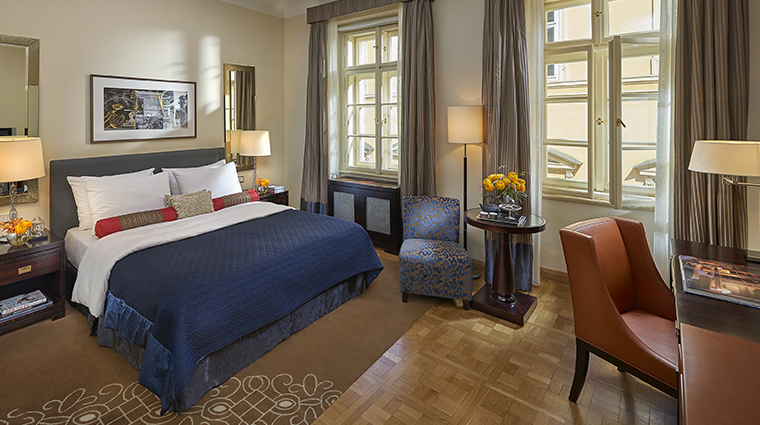 Due to an exclusive partnership, hotel guests can enjoy special privileges at the nearby Lobkowicz Palace within Prague Castle, including a chance to meet the Lobkowicz family. 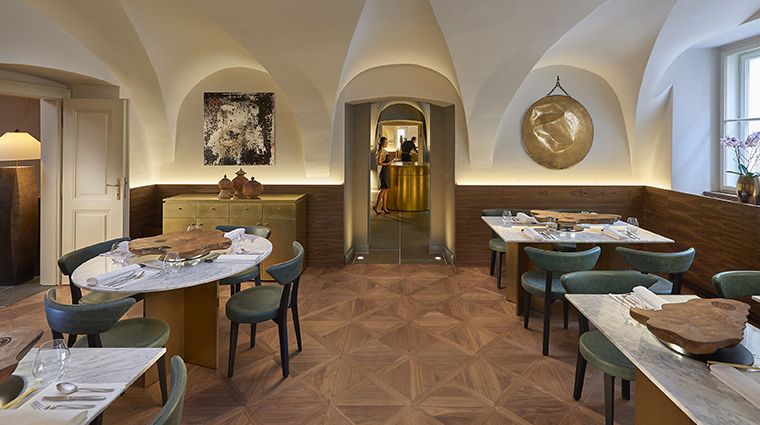 There’s a fan on display in every Mandarin Oriental property, and Prague’s art nouveau offering is inspired by an Alfons Mucha design — brought to life by his granddaughter Jarmila. 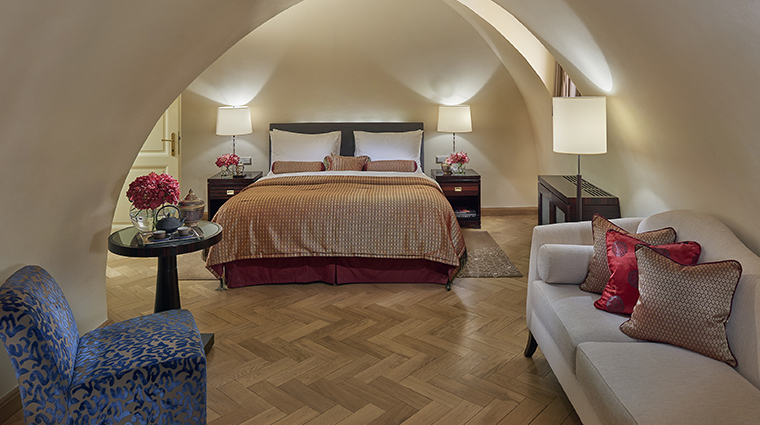 Each room at Mandarin Oriental, Prague combines authentic historic features — high vaulted ceilings, exposed beams and stone doorways — with chic and contemporary furnishings. Suites offer even more luxury, with chandeliers and other decorative accessories by the renowned Bohemian crystal manufacturer Moser. There may be almost 100 accommodations here, but the nature of this historic complex means that no two rooms are the same. Expect a wide choice of room categories at this luxury hotel; choose your desired size, preferred view and garden or terrace access. 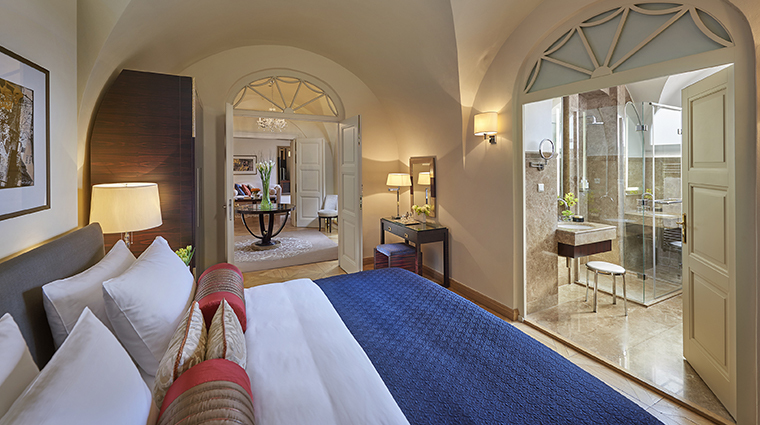 The two-floor Presidential Suite provides incredible panoramas of the city. 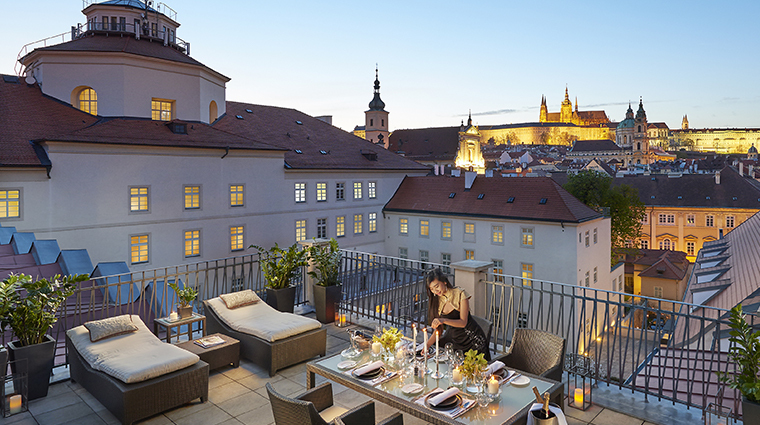 The private roof terrace gives you vistas over the red rooftops of Malá Strana up to Prague Castle, while the living room windows showcase Charles Bridge and the Old Town. 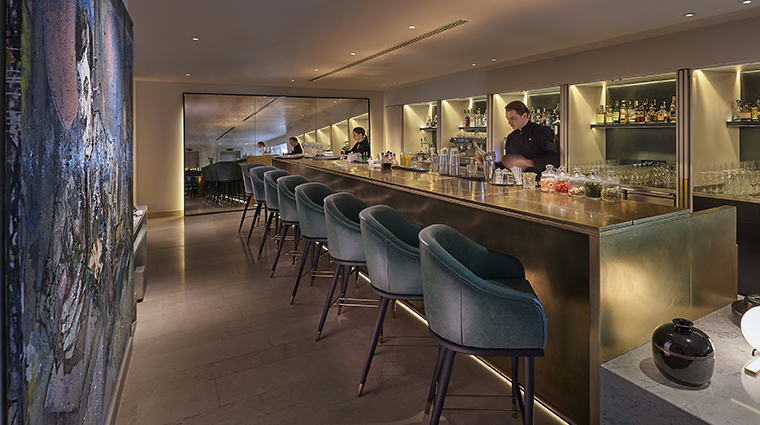 Spices Restaurant & Bar serves up one of the most authentic Asian dining experiences in Prague, with a menu designed by Sri Lankan executive chef Stephen Senewiratne. Specialties at this popular Prague restaurant include chicken tikka masala (cooked in a real tandoor oven), duck spring rolls with foie gras and Korean pork bulgogi. Spices is spread across five restored Renaissance townhouses. 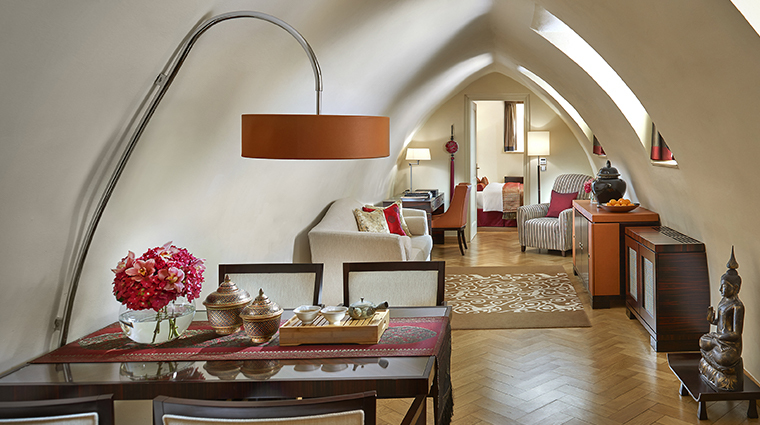 Look up at the ceiling arches above your head — they are totally different from the ones above your neighbor’s table. Stick around for an Asian-inspired cocktail after dinner. The innovative liquid nitrogen mango bitter martini sees the main ingredients served in an eye-catching frozen balloon that you’re invited to crack open and top with elderflower-infused vodka yourself.